I also show you what it means when you discover a mental loop of repetitive thoughts playing in your mind and how being mindful of the emotional state or mood that underlies and fuels these repetitive thoughts can help you to identify less with them, and ultimately be free of them. 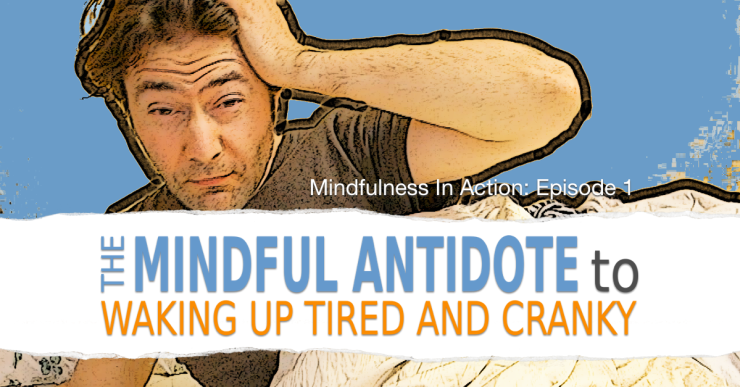 Finally, I explain why trying to change or suppress the underlying mood is a really bad idea and why being mindful of the mood is a far superior approach and gives much better results. 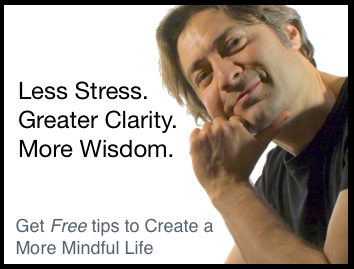 I hope that you enjoy watching this video and that it helps you to understand exactly how and why to apply mindfulness in your first moments of waking up, and helps you start your day on the right note! Before you get up and start your day, take a moment and observe: what’s your emotional state or mood upon waking? I’m sure you’ve had the experience of waking up and feeling tired and cranky. You may have even noticed that at times like this, it’s really easy to feel irritated by things, even things that normally wouldn’t even register on your radar. That’s because our underlying emotional state or mood biases our perception in a way that tends to reinforce and perpetuate it. That’s why, when you’re feeling great, happy and full of energy, things generally seem rosy. Problems you run into seem like speed bumps rather than road blocks. Colours look brighter and more vivid. And that’s why, when you’re feeling down, sad, perhaps even depressed, the things that used to bring a smile to your face only seem to confirm and underscore how miserable you feel. Everything looks grey. Whatever the reason for your emotional state upon waking, you’re not doomed to carry it around for the rest of the day. Take a moment and observe, in an accepting and non-reactive way what your mood is like. It was a rough night, so when the alarm went off, I was feeling a bit like I had been run over by a truck. Let’s go in for a closer look and see what’s going on under the hood. There’s a burning, achy sensation around my eyes and where the eyelids meet. There’s a moderately sharp, pulsing pain in my forehead above my right eye. Overall, my body feels heavy and drained of energy. there’s also a mental loop playing in my mind, a voice saying “I’m tired, I’m tired, I’m tired” over and over again. There’s an underlying mood of irritability and crankiness – like a “it’s all their fault I’m tired, I hate feeling like this” kind of mood. There is a lot of “I” in it. I’m very identified with the mood – it’s currently defining who I am. I am irritable, tired and cranky, and you better watch out, because I have every right to show you just how awful I feel. The physical sensations come and go, they change in intensity, and they’re not me. They’re just physical sensations doing their thing, giving me information about the state of my body, and they’re constantly changing. Very ephemeral. They arise and then vanish very quickly. Only the mental loop seems to have any staying power. That means it’s probably being fuelled by the underlying mood. Checking out the mood again. It feels very uncomfortable. There’s an urge to act out in some way to deal with the uncomfortableness of it. It definitely feels like “it’s not the experience I’m supposed to be having”. I can see it spawning thoughts like “I’m tired” “I hate this” “I’m going to stay in bed” and I can see that if I buy into their content, it just reinforces the mood and keeps the whole cycle going. When you find something like this, an underlying mood or emotional state that’s fuelling and being sustained by repetitive thoughts, you’ve found a critical area to be mindful of. This is where you hang out, and watch, with curiosity and acceptance. The temptation to tinker with the mood, to modify it, repress it, or change it into something better is really strong! Resist that temptation at all costs! The more you mess with it, the more entrenched the emotional state becomes. You may succeed in temporarily pushing it away, but it will come back again, and again. All you need to do is hang out with the mood, resist the temptation to mess with it, and it will, like all mental phenomena, go away on it’s own. It may, and it most likely will, come back again, but each time you repeat your mindful observation, you will find yourself identifying less and less with it, and it will cease to bother you. When that happens, you’re free from it. And in time it may even completely subside and not return for the rest of the day. And now it’s time to get up and start the day. Man, I feel tired, but that’s alright. I’n Nick Grabovac. Hope you enjoyed this video. See you next time.